Meet your annual CPD requirements! Up to 38 ACN CPD hours available! Buy all 13 titles in the breastfeeding library at the discounted price of $99. This full library attracts 13 MidPLUS points as endorsed by the Australian College of Midwives (ACM) and 15.25 CERPs (2.25R/1E/12L). Buy all 10 titles in the midwifery library at the discounted price of $99. This full library attracts 14 MidPLUS points as endorsed by the Australian College of Midwives (ACM). This online course is designed as a Disability Induction Program for disability support practitioners and health professionals in disability and covers Disability awareness, WHS and duty of care legislation, manual handling techniques, fire safety and emergency response requirements. Infection prevention and control, medication policy, promoting health for people with disability and practice skills and knowledge in the prevention of and response to abuse and assault are also addressed. This online course is designed as a Disability Induction and Orientation Program for disability support practitioners and health professionals to develop knowledge and skills to work inclusively and provide services to people with disability and includes disability awareness, WHS and duty of care legislation, manual handling techniques, fire safety and emergency response requirements. Infection prevention and control, medication policy and practice, good working relations, work with diverse people, Promoting health for people with disability, nutrition for people with disability as well as skills and knowledge in the prevention of and response to abuse and assault are also addressed. These courses have been designed to ensure operating theatre nurses have access to comprehensive and generic surgical procedure education before they are required to enter the operating theatre. 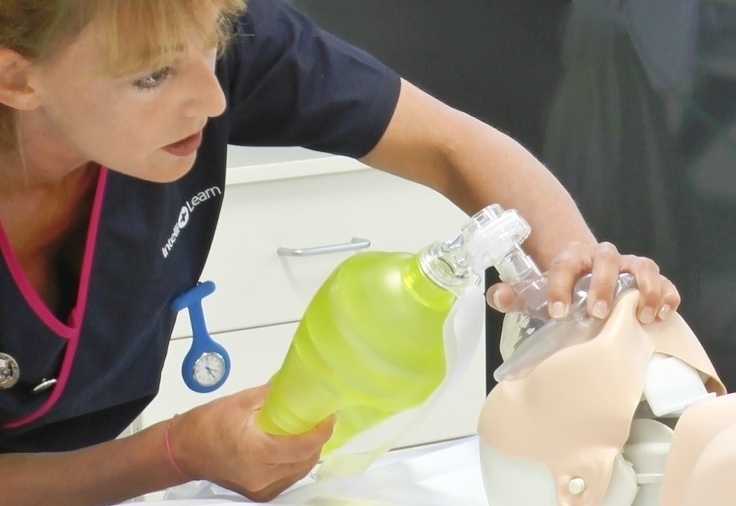 The courses have been reviewed and approved by qualified theatre nurses to ensure content accuracy and relevance. This course takes you on a 'journey of awareness'. Cultural awareness is a first step towards Aboriginal and Torres Strait Islander cultural competency, which refers to an ability to interact effectively with people of different cultures and socio-economic backgrounds. Make more informed decisions by effectively tracking, reporting, and sharing information using Microsoft Access 2007. The course is approximately 8 hours in duration. Make more informed decisions by effectively tracking, reporting, and sharing information using Microsoft Access 2010. The course is approximately 7 to 8 hours in duration. In this course, we discover that human resource planning is about getting the right number and type of people into the right places, at the right times, and doing the right things in the context of the business objectives of the work unit. As an Operational Manager you need to know how resources are obtained in your organisation and the role you are expected to play in that process. In this course, we overview the principles and processes associated with obtaining physical resources. Challenging the Status Quo is a vital part of business development, as those that stand still are likely to fail. This module explores the importance of ancestral and adventurous thinking in the decision making process and uncovers some useful exercises to help you to think outside of the box and gain a fresh perspective. Finally we will explore the combination of logic, experience and intuition in making sound decisions. In this course, we will investigate affirmative action that you can take to advance your career. In a nutshell, this involves combining your skills and knowledge, while being politically savvy. Knowledge is power and for retailers, product knowledge can mean more sales. Product knowledge comes in various forms, including how its features map to its intended purpose, what goes with what, and how it works. It is difficult to effectively sell to a customer if you cannot show how a particular product or service will address their needs, so you need to know about it and know how to demonstrate all such features. Having a thorough understanding of the different products on your shelves can allow you to use different techniques and methods of presenting to customers. Organisations can choose to deliver the course 'out-of-the-box' or personalise it to their needs. This course covers key areas of APH including placenta praevia, placental abruption, vasa praevia. Anti Money Laundering module will provide you with the key skills you need to recognise Money Laundering taking place and what action to take if witnessed. One of the biggest obstacles a leader faces is leading change. This module looks at the seven characteristics of effective change agents and explores the decision making process. A force-field analysis will help you to uncover both the driving and restraining forces for change. We will look at the importance of effective communication and active listening. This course has been has been developed to provide you with general information about how robbery related risks should be managed. This course will provide you with an understanding of how your behaviour can help to protect your safety and the safety of others during a robbery related incident. This Asbestos Awareness course is designed to assist you in understanding policies and procedures regarding the safe handling and disposing of Asbestos. We will identify the 3 main types of asbestos and the possible health effects of exposure to airborne asbestos. We will also identify how asbestos risks are managed in the workplace, investigate what an asbestos register is and explain the general procedures should asbestos be discovered or disturbed. This course provides an awareness of the dangers posed by asbestos. It explains where asbestos risks might occur in the workplace and some of the controls used to minimise and eliminate these risks. Once the decision has been made you must see the change through. Change is a complicated process that can often encounter obstacles along the way. This module explores the roadblocks to change and how to overcome them. We will look at dealing with criticism, dealing with stress, why change fails and the benefits of continuous change. In this course, we will investigate different personality types in more detail and look at a personality assessment tool called an Enneagram that can be used to identify personality traits and how they affect behaviour. This online course is designed as induction for disability support practitioners to develop knowledge and skills on the anatomy of back care, principles for prevention of injury and appropriate manual handling techniques relevant to the job role. The Basic Life Support (ANZCOR 2016 Guidelines) course is part of the IntelliLearn's Nursing & National Standards Library. The types of communication that occur in the workplace range from a simple hallway conversation or telephone chat to formal written documents, meetings and presentations. You need to develop skills that will allow you to get your message across to others as well as understand the message being presented to you. Using practical exercises, this course will help to improve your written communications. People's attitudes toward work can be complex, so there can be no single method for influencing their attitude and behaviour. In this course, we will investigate the personal qualities that effective leaders draw on to motivate and influence a variety of people. Different organisations have different cultures, a system of shared values and beliefs that establish an organisational way of life. It’s important to analyse the organisational culture before implementing a change, you therefore need to analyse the organisation itself. This module explores the 7’s framework which looks at strategy, structure, systems, shared values, skills, style and staff. We will also look at the political, economic, social and technical factors that could influence an organisation’s success and will explore organisational strategies. Employees are often required to learn new skills. You don’t have to be a professional trainer to deliver a lesson. This module will look at the different training methods and the pros and cons of each. The creation of a lesson plan is essential for any training session and this module will guide you through the process. This course covers key areas of breech delivery, including; definition, risk factors and management. Upon successful completion of the associated quiz, 1 Australian College of Midwives (MidPLUS) point will be awarded. It is important to understand the potential effects that change can have on your team and organisation. This module will explore the five main forces of change which will help you to anticipate and manage reactions. We will explore the difference between cold and warm organisations and their response to change. Finally we will look at the seven characteristics that effective change agents share. In this course, we overview the importance of Business Continuity planning to an organisation and its people. BCP describes a holistic management process that is designed to identify potential threats to an organisation along with the likely impact in the event that those threats are realised. With this knowledge in place, you can plan effective responses. We all have a natural moral compass that helps us to identify what is and is not ethical. In this course, we will reflect on the moral codes that underscore sound business ethics and we will touch on how many Organisations today have published Codes of Ethics to help understand your responsibilities. In this course, we will investigate the Ending State, the Transition State and the Future State in the change transition process. Questions form part of our everyday lives, but why do we ask them? This module explores the different types of questions and the situations in which they are most effective. We will also look at questions that should be avoided and how to set the scene for effective communication. The Australian Commission on Safety and Quality in Healthcare has mandated Clinical Handover as one of the 10 national standards (Standard 6). Our Code of Conduct is a public statement that provides specific guidance on the values, standards, policies and procedures required of our employees. In this course, we investigate the key values that help to develop and maintain harmonious, positive working environments. We will look at enhancing your understanding of yourself and others. In this course, we concentrate on communicating with specific types of people in the workplace, including internal and external customers, managers and supervisors, colleagues and staff. This course has been developed to provide an understanding of the Australian Consumer Law and how it provides consumer protection. This course has been developed to provide learners with an understanding of the provisions of the Australian Consumer Law that protect consumers and how businesses deal with consumers. This course has been designed to provide you with an understanding of anti-competitive and restrictive trade practices prohibited under the Competition and Consumer Act 2010. Complaints Management will give you an insight into the best way of handling and managing complaints as well as the opportunity to practice dealing with difficult situations. In this course, we will give you an overview of a businessÃ¢?? rights and obligations in relation to its suppliers, competitors and customers under the Competition and Consumer Act. In this course, we will cover the basic communication skills required when dealing with customers and colleagues. This course has been developed to provide learners with a basic understanding of work health and safety (WHS) requirements, risk management, and injury prevention in the workplace. In this course, you will learn about our Health and Safety Policy and obligations relating to contractors in the workplace. Creative problem-solving is about escaping the standard patterns that control thinking so that you can discover options that you previously could not see. In this course, we will look at a variety of techniques that can help to generate creative ideas. The FISH! Philosophy was inspired by a small business that became world famous for its incredible energy and commitment to service, the Pike Place Fish Market. DIVE in to bring new energy and commitment to your work. Studies show a great culture drives great performance. This course develops essential relationship skills that engage employees, delight customers, improve teamwork and inspire leaders. The way in which people present themselves can be affected by a number of factors, both social and cultural. Public speaking can be a daunting task and is often something that people fear. This module will provide you with advice and guidance on preparing your speech, finding your voice and presenting to others. Positivity is not about having your heads in the cloud, it’s about recognising the negative aspects of a situation and choosing to focus on the opportunities instead. As a positive workforce is a more productive workforce, this module explores the power of positivity in the workplace and how it can be improved. This module explores bribery and corruption as well as global legislation and its enforcement. We will look at ways to demonstrate compliance and ways to protect yourself and your organisation. This course has been developed to provide learners with an understanding of diabetes, how and why it develops and strategies for managing diabetes or preventing it from developing. This course has been developed to raise awareness and knowledge of how disability impacts the lives of individuals living with disability and to provide strategies for interacting with people with disability to support inclusion and participation. In this course, we will investigate the fundamental and legal right to work in an environment that is free of unlawful discrimination and harassment and provides every individual with an equal opportunity. This course has been developed to provide car (C class) licensed drivers with an understanding of driver safety and how to follow driver management procedures in the workplace. This course is designed to assist people leaders and employees in making reasonable decisions about the health, safety and wellbeing of themselves and those around them in relation to the effects of alcohol and the risks associated with taking medications and other drugs. This course will provide employees governed by Victorian legislation with an understanding of how to fulfil their duty of care to help maintain the health and safety of the workplace. This module has been developed to provide an understanding of the Infection Prevention and Control (IPC) principles and risks related to Flexible Endoscopes and Intracavity Ultrasound Probes. Please note, you will need to successfully complete this Module before being able to access Modules EP2: Flexible Endoscopes IPC Reprocessing, and EP3: Ultrasound Probes IPC Reprocessing as appropriate to your practice. This module has been developed to educate HCWs responsible for the management and reprocessing of Flexible Endoscopes and accessories of the recommended procedures according to current standards, guidelines and manufacturers' instructions for use (IFU). Please note, you will need to successfully complete Module EP1: Flexible Endoscopes and Ultrasound Probes IPC Risk Management before completing this Module. This module has been developed to educate HCWs responsible for the management and reprocessing of Intracavity Ultrasound Probes of the recommended procedures according to current standards, guidelines and manufacturers' instructions for use (IFU). Please note, you will need to successfully complete Module EP1: Flexible Endoscopes and Ultrasound Probes IPC Risk Management before completing this Module. In addition you should also have completed Module EP2: Flexible Endoscopes IPC Reprocessing as applicable to your practice. Effective Decision Making module will teach you the skills needed to reach the best possible decisions, improving your knowledge of the decision-making process to enable effective decision making in the workplace. This module looks at the different types of behaviours: passive, aggressive and assertive and considers the factors that can influence how a person behaves, both cultural and generational. We will examine the skills required for assertiveness and how to put them into practice. When faced with criticism or demands, being assertive can be quite difficult, we will uncover some assertive techniques that can be used under these circumstances. This module will help you to understand the value of giving feedback and how to deliver it effectively. This course will improve your knowledge of leadership styles and their effect on teams. When you cultivate positive and supportive relationships, you are more likely to feel happy and fulfilled, however when relationships break down you may find yourself embroiled in conflict. This module looks at how to both build and maintain positive working relationships, as well as how to handle conflict situations in the workplace. This module will give you the skills you need to ask questions effectively, ultimately enhancing learning outcomes for those receiving the training. Work planning describes a formalised approach to accomplishing the work of an organisation, as well as to managing the people who perform that work. In this course, we will investigate the importance of preparing formal work plans to manage work priorities. We will see that the work plan itself is a written statement that identifies the work to be accomplished in order to successfully achieve individual, team and organisational goals. Motivation is the key to encouraging your staff to go the extra mile. This module will look at the who is responsible for motivating the workforce, the theories behind motivation and six steps to help you motivate both yourself and others. Electronic Fetal Monitoring remains one of the highest areas of risk across the full spectrum of healthcare. Based on RANZCOG definitions and guidelines, IntelliLearn's EFM course provides a focus on understanding and interpreting CTGs, as well as the management of clinical cases, with a strong focus on the physiology of the fetus. Relationship management is all about your interpersonal communication skills. It's all about your ability to get the best out of others, your ability to inspire and influence them, your ability to communicate and build bonds with them and your ability to help them change, grow, develop, and resolve conflict. In this course, we will underline the need to apply and build on your self-awareness, self-management and social awareness skills to reach this highest domain that Goleman refers to as Relationship management. The most important part of becoming a leader in the modern workplace is to be the person that others choose to follow. Being aware of your own and othersÃ?Â¢Ã¢Â?Â¬Ã¢Â?Â¢ emotions, being able to manage them and build emotionally intelligent relationships is critical to building a successful workplace environment. A better understanding of your own emotions as well as others will help you to enhance both personal and professional relationships. In this course we will learn how to handle the stress that has become a pervasive experience in the daily lives of people. Around three of four people have indicated they sometimes or frequently experience stress in their daily lives. In a survey conducted in 2014, the Australian Psychological Society found that three most common sources of stress are financial issues, family issues and issues in the workplace. Essentially, social awareness is about appropriately considering what people want and then communicating with them in a way that is most likely to fulfil need. In this course, we will focus on Empathy (understanding the other person's emotions, needs and concerns), Organisational awareness (you need to understand the organisation structures and how they affect the people working in them) and Service orientation (understanding and fulfilling the needs of internal and external clients and customers. While employment relationships will take a variety of different forms, each form will create certain rights and obligations on the parties involved. There are many aspects an employer should take into account when developing an employment contract. In this course, we will take you through the main issues that should be considered in any employment contract. This course offers a comprehensive guide to all aspects of epidurals and spinal anaesthesia including but not limited to: pathophysiology, common medications that are used and how these medications can affect the CTG, management and expected observations of a patient with an epidural or spinal and observations. Upon successful completion of the associated quiz, 2 Australian College of Midwives (MidPLUS) points will be awarded. This is a training course for employees at all levels, providing an understanding of equality and diversity and how this applies to the workplace environment. This is a training course which will give you a greater understanding of equality and diversity, and how this applies to your role as a manager in the workplace. Emotional Intelligence is your ability to positively manage your own and other people’s feelings during interactions. Emotional Intelligence is a key skill for the modern manager. This module will examine the six steps involved in communicating with emotional intelligence. Carrying out the actions in these six steps will help you to build solid, trustworthy and open relationships with your colleagues. This course has been developed to provide the learner with an understanding of the controls that should be applied to excavations in the workplace. Microsoft Excel provides powerful tools that enable you to analyse, share, and manage information in order to make more informed decisions. This module provides a comprehensive program in how to use advanced level functions of Excel 2007. The course is approximately 4 hours in duration. Microsoft Excel provides powerful tools that enable you to analyse, share, and manage information in order to make more informed decisions. This module provides a comprehensive program in how to use beginner level functions of Excel 2007. The course is approximately 9 hours in duration. Microsoft Excel provides powerful tools that enable you to analyse, share, and manage information in order to make more informed decisions. This module provides a comprehensive program in how to use intermediate level functions of Excel 2007. The course is approximately 7 hours in duration. Microsoft Excel provides powerful tools that enable you to analyse, share, and manage information in order to make more informed decisions. This module provides a comprehensive program in how to use beginner level functions of Excel. The course is approximately 8-9 hours in duration. Microsoft Excel provides powerful tools that enable you to analyse, share, and manage information in order to make more informed decisions. This module provides a comprehensive program in how to use intermediate level functions of Excel. The course is approximately 6-7 hours in duration. Microsoft Excel provides powerful tools that enable you to analyse, share, and manage information in order to make more informed decisions. This module provides a comprehensive program in how to use advanced level functions of Excel. The course is approximately 4-5 hours in duration. Once a decision has been made, the next step is to take action and implement it. This module explores several approaches to help you ensure the implementation process is successful including the G.R.O.W (Goal, Reality, Options, Wrap-Up) and V-SAFE (Valuable, Suitable, Acceptable, Feasible and Enduring) models. The FISH! Philosophy was inspired by a small business that became world famous for its incredible energy and commitment to service, the Pike Place Fish Market. DIVE in to bring new energy and commitment to your work. Studies show a great culture drives great performance. This course develops essential relationship skills that engage new employees from the start. In this course, we will learn how and why patterns emerge in teams as a result of Group Dynamics. We will study the effect that team members have on each other's behaviour, as well as their influence on team patterns and norms. Some will have a positive effect on individual and team output and relationships, while others can hinder performance. While the need for a Workplace Learning Environment is generally accepted, workplaces often struggle with the methodology. In this course, we will introduce the conceptual framework for developing a workplace learning environment, and we will also look at the different learning methods that could be offered. Financial crimes such as fraud, manipulation of the stock market, tax evasion, money laundering and cybercrimes cost organisations and the economy billions of dollars every year. In this course, we will overview legislation and procedures designed to protect us all against the financial crimes and we will investigate how you can protect yourself from intellectual property and copyright infringements. In this course we will investigate how to use various documents to correctly record income and expenditure. We will also look at the range of taxes that apply to Organisations as well as the reporting requirements relating to those taxes. This course has been developed to provide workers who work with people with a disability with an understanding of fire safety practices and emergency procedures. Sickness and absence is a key issue for organisations as it presents a significant operational and financial burden. This module explores the impact of staff sickness and absence on the organisation and looks at the role of the manager in dealing with sickness absence in the workplace. We will also examine the requirements with which employees must comply when absent from work. This course has been designed to provide an entry level course for those people starting off in the food industry. This course covers essential basic information regarding how good personal hygiene practices can prevent contamination of food that might cause food-borne illnesses, making sure you understand your responsibilities as a food handler. This course is designed for those people who have already completed their Food Handling Certificate (Level 1) course or who want to extend their level of knowledge in the area of Food Safety. It covers how to handle food safely during the storage, preparation, display, service and disposal of food. This course is designed for people who want to be a Food Safety Supervisor, where participants will learn how to best manage OH&S in the kitchen and ensure strict procedures are in place so that all food served is safe to eat. The course takes an in-depth look at what is essential to implement safe food handling and storage practices and a food safety program within an environment that interacts with food. The EssentialsPlus Food Safety & Hygiene module will teach you about food safety and hygiene in the workplace as well as improving your knowledge on food contamination, hygiene and allergens. The module is made up of 3 bitesize sections; Food Safety and You, Food Contamination and The Workplace. This module will provide you with a better understanding of what the Freedom of Information Act is and how it is applied in the workplace. Incidents happen at every workplace so it follows that if you can identify the hazards, you can assess the level of risk and determine the required course of action. This course, created by HICMR (Healthcare Infection Control Management Resources) has been developed to provide an understanding of the early identification and Infection Prevention and Control (IPC) management of a Gastroenteritis Outbreak. The GDPR module will help you to understand the EU General Data Protection Regulation, which governs how personal information must be handled. In this course, we will investigate the clearly defined procedures for handling grievances as well as disciplinary options. Grievances are concerns, problems or complaints raised by a worker. The goal of a grievance procedure is to ensure that, as far as possible, grievances are dealt with and resolved informally through discussion between the aggrieved and their manager or supervisor.